The health of hundreds of local people living with Multiple Sclerosis is being put at risk as some wait two years for appointments with specialists. 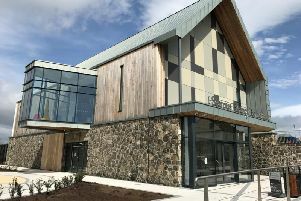 The latest figures for the Northern Trust, which includes the Cookstown and Magherafelt areas, reveal that in September there were 452 patients waiting longer than 18 weeks for a first appointment with a neurology specialist - over half of all patients. But the Northern Trust has revealed that some patients have been waiting for two years to see a neurologist. They also revealed that the current waiting time for first outpatient appointments are two years at Causeway Hospital - a service that is provided by Belfast Trust and 15 months at Antrim Hospital under the Northern Trust. The government targets are that no one should wait longer than 18 weeks for their first outpatient appointment with 60% of patients waiting no longer than nine weeks. In response to the figures, the charity, MS Society Northern Ireland is calling for a “fundamental system change” to deal with the waiting list backlog and to ensure equal access to treatment and services for all patients. The latest measure of performance for the quarter ending September 30 2015 shows that Northern Ireland as a whole did not meet either outpatient appointment waiting time targets, nor did any of the individual health trusts.